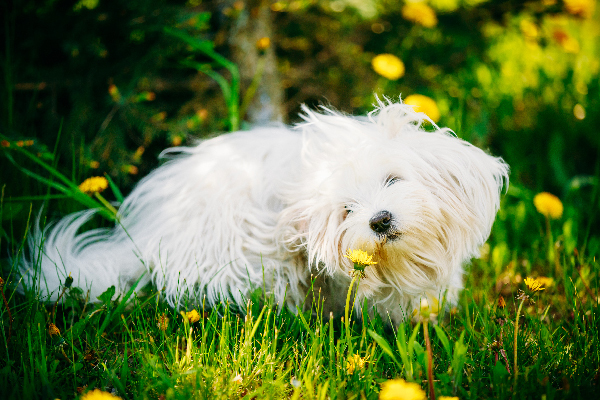 When fleas or ticks bite your pooch, he becomes miserable with the itching, skin irritation and other discomforts from the parasites. We pet parents aren’t happy either, as the pests can spread and infest our other pets and our homes. First, is there truly a flea and tick season for dogs? Do fleas and ticks truly have a specific season or are they a year-round issue? Photography ©bruev | iStock / Getty Images Plus. Different regions of the United States, with their varying climates and nature clocks, may have particular seasons for fleas and/or ticks, to a degree. But unlike Christmas and Halloween, parasites that bug your dog aren’t necessarily seasonal, says Dr. Michelle Matusicky, D.V.M., assistant professor — practice at The Ohio State University’s College of Veterinary Medicine. “It is a common misconception that fleas and ticks have a season,” Matusicky says. “They have a life cycle that is constantly replicating. Fleas and ticks appear all over the United States, but each region of the United States has some minor differences. Fleas come in more than 1,000 different species, but the types of fleas that bite cats and dogs are fairly uniform. Ticks come in several distinctive varieties. It’s Flea and Tick Week sponsored by Andis on Dogster.com. Stay tuned for more tips on how to keep your dog and household safe from fleas and ticks!